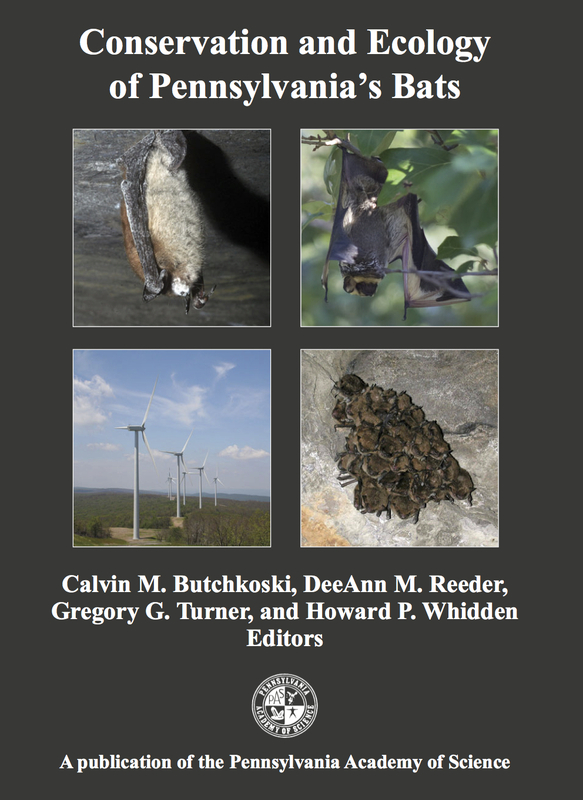 Pennsylvania has long been an active center of research on bats, and in recent years Pennsylvania biologists have played leading roles in responding to the emergence of wind turbines and White-nose Syndrome as major new threats to bats. 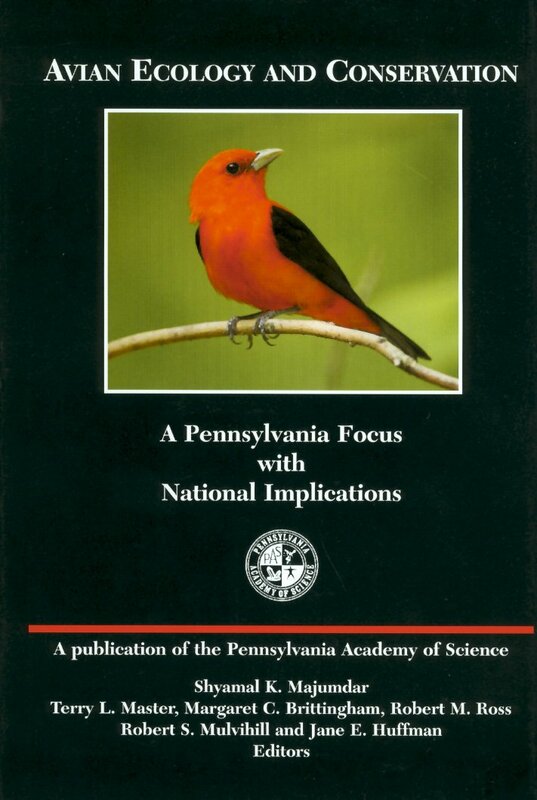 This volume takes stock of the status of Pennsylvania’s bats at a time of conservation crisis. 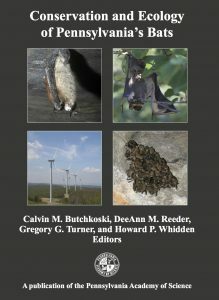 Chapters in the book describe the natural history of Pennsylvania’s bats, the history of bat research in the state, summarize long-term data on the state’s bats, assess the recent impacts of wind turbines and White-nose Syndrome on the state’s bats, and provide guidelines for future conservation efforts aimed at protecting and managing the state’s bats. 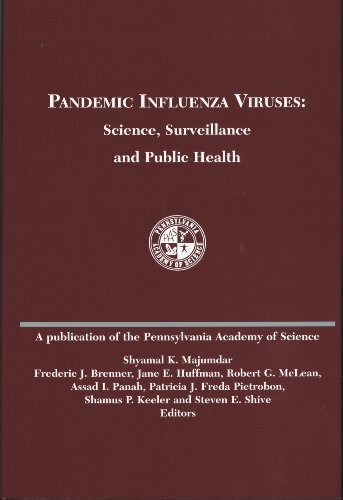 This book features introductory chapters on the history and science of influenza diseases, plus contributions on surveillance and tracking technology, public health strategies and planning, and vaccines. 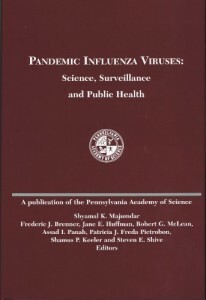 This book is a compilation of up to-date scientific information of pandemic influenza with particular focus on the 2009 pandemic H1N1 virus and the 2005 highly pathogenic H5N1 virus, and contains chapters on the biology, ecology, immunology, and genetics of influenza viruses. 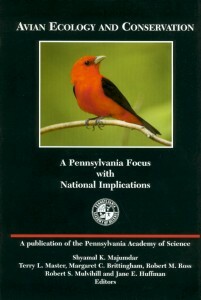 This book offers 27 chapters by dozens of ornithological experts from Pennsylvania and other states, with cutting edge insights on habitats of PA breeding birds, migration and wintering ecology, conservation issues and challenges, and emerging issues such as climate change, wind power development, contaminants, and emerging diseases. Edited by: Shyamal Majumdar (Lafayette College), Frederic Brenner (Grove City College), Jane Huffman (East Stroudsburg University), Assad I. An excellent resource for all professionals who work with wildlife, this book is a comprehensive look at wildlife diseases. 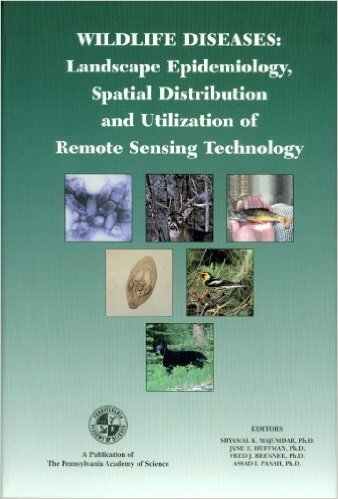 Topics in this 32 chapter book include diseases of amphibians, birds, fish, and mammals. Experts also discuss the use of technology in tracking the spread and progress of disease through wildlife populations.